The Addiction Recovery Management Service (ARMS) specializes in supporting teenagers and young adults between the ages of 14 and 26, and their parents, as they deal with their substance use and related problems. ARMS is an outpatient, dual diagnosis clinic made up of a multidisciplinary team of clinical psychiatrists, psychologists and masters-level social workers who are trained to work with youth and their parents to provide an individualized plan for recovery. 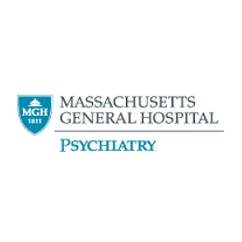 As part of the larger Massachusetts General Hospital (MGH), with links to the medical, clinical and addiction research resources within the MGH Center for Addiction Medicine, we offer a unique level of expertise. We evaluate our patients’ history and current symptoms in order to devise the treatment plan that is the most likely to succeed. We understand that substance use and mental health issues are very connected. Our team is trained to assess and treat comorbid mental health problems such as depression, anxiety, attention-deficit/hyperactivity disorder (ADHD), bipolar disorder as well as other mental health issues. All are welcome at ARMS. We can be a valuable resource for those still thinking about making changes, those taking the first steps towards treatment, or those enrolling in ARMS to fully pursue their recovery and overall wellness. We meet each patient where they are. We work with those who are unsure they even have a problem, and those not yet ready to commit to sobriety. Patients are not required to be abstinent to engage in our program. We also provide evidence-based coaching to parents of young people with substance-related problems who are not yet willing to seek treatment themselves. Even if your child is not willing to engage in treatment, we offer support and services to parents.